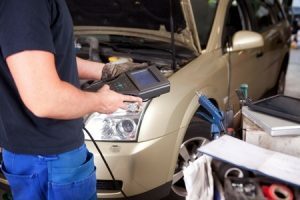 Regardless of how old or new your car or truck is, it is inevitable that one day you will need auto repair services in Westland, MI or surrounding areas. At Mr. Muffler we have built our name within the community as one of the most honest vehicle repair shops in Westland. Many auto repair shops in MI will give you the run around to scrape every dollar out of your wallet before finally repairing your car. For the best auto repair shop in Westland, MI, Mr. Muffler is the name to remember. When you come to Mr. Muffler to have your car or truck serviced in Michigan, we will ensure that you receive the highest quality auto repair services in Westland, MI. Our professional mechanics will work to get your car running as if nothing ever went wrong. Contact us today to schedule your car maintenance, or just come on over to the corner or Wayne and Cherry Hill in Westland, MI. Let us help get you back on the road!